The world of handball mourns Volha Kandratsyeva, who passed away on 18 December. 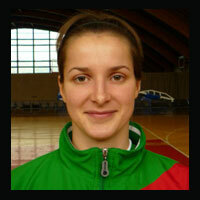 The 26-year old Belarus national player Volha Kandratsyeva passed away on 18 December in the hospital of Homel, Belarus. The unexpected news of her death came as a shock for family and friends. She was a candidate for a place in the EURO 2008 team of Belarus, but a couple of months before the event she had to be recovered to hospital with an illness. The doctors diagnosed pneumonia. Kandratsyeva played for Homel Handball Club; she was the left winger of the team. She played 56 matches for the National Team and scored 88 goals. The European Handball Federation expresses sincere condolences to the family of the young player.